Navy dress shirt with white and red stripes. Made from Westfield satin weave fabric, has a subtle drape fit. 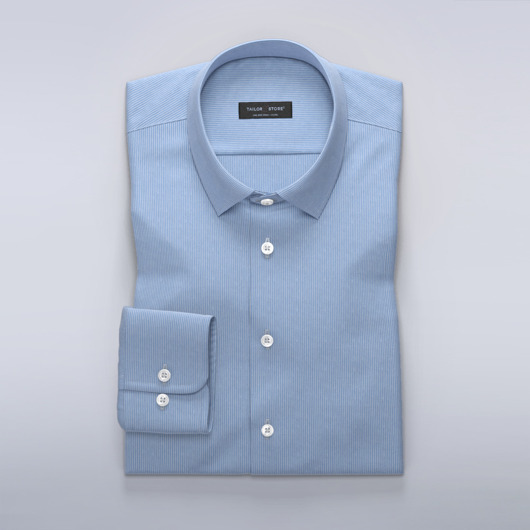 Wear as a business shirt and make an impression. Order our suggested design or customise it to your preference. Made to your measurements.